Following Jesus doesn't guarantee sunny skies and smooth sailing. In fact, the waters of life are often tumultuous, crashing over us. Sometimes we can feel that we're drowning in a sea of confusion, division, frustration, complacency, or disillusionment. We need more than a shallow faith to survive the deep waters of life. 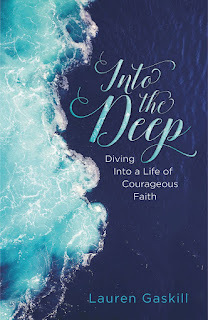 Into the Deep is an invitation to dive headfirst into a life of fearless faith. With endearing warmth and authenticity, Lauren Gaskill shares how she and others have learned to swim with Jesus in the deep waters of life - facing challenges such as anxiety, depression, and chronic illness - only to discover a more authentic, enduring faith that cannot be shaken by circumstances. In addition to examining the character of God and the lives of women and men in the Bible, she provides practical examples and tools that help us take our faith to the next level by learning to make decisions b faith, control our reactions to overwhelming situations, and life a life rooted in love. Get ready to exchange fear and frustration for the boldness, courage, and holy confidence that lead to a life of deep faith and joy! The title of this book caught my eye. I immediately thought of the song, "Oceans" by Hillsong when I saw the cover of the book and knew I wanted to read it! I love what Lauren says in the first chapter, "...when I finally put all my faith in Jesus, saving hope entered my story." She talks about the difference between knowing and believing God and how much we need Him. She says this book is an invitation. "It is an invitation to dive headfirst into faith, leaving fear behind in exchange for the boldness and courage that come from relying on Christ." Each chapter has "Going Deeper" questions and a prayer at the end, to help you reflect and get the most from the book. I really like what Lauren says in chapter 2: "The more I have clung to Jesus, the less confusing and chaotic my life has become. The only solution to our brokenness and the only One worthy of our faith is God, who never fails. The world may fail us, but He never will." And she talks about what faith is God looks like. "A deep and satisfying faith goes beyond acknowledging God to relying on Him in every area of life. This kind of faith doesn't just believe God exists, it puts faith into action by expressing confidence in who God says He is and what Jesus did on the cross." That makes me think of one of my favorite verses, Hebrews 11:1: "The fundamental fact of existence is that this trust in God, this faith, is the firm foundation under everything that makes life worth living. It’s our handle on what we can’t see (Message)." This book is a great read to boost your faith! I received a copy of this book from Audra Jennings, PR for my honest review. The Bucklin family loves each other too much to stay away...but not enough to behave. Being rich is fine, but when wealth comes from striking oil, it can make a slippery mess for a family who doesn't know what to do with it. The Bucklin cousins are all together again, and this family reunion is shaping up to be another hot mess. Coralee falls for the police officer who pulls her over. Sally has finally found a guy, but now she's not sure a relationship is even worth the bother. No matter how hard Brett tries to avoid trouble, he somehow stumbles back into the thick of it. And Marybeth and Bucky continue to fumble and bumble as they learn just how to handle being rich. The Bucklin family is known for drama - and family drama knows no bounds. 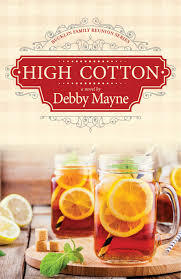 I read Debby Mayne's High Cotton and fell in love with the town of Pinewood and the Bucklin family. 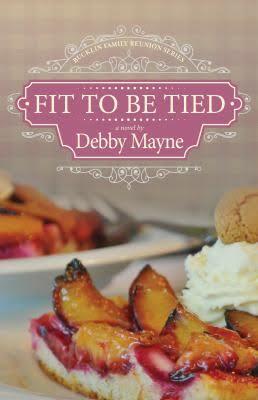 Reading Fit to be Tied was just as enjoyable as the first book and I can't wait to see what happens to this family in next book! As a girl from the South, I loved all the Southern expressions! This was a great book from beginning to end! Each of the family members is facing something different, making them all relatable. Though a fiction book, I was encouraged and inspired by Sally and her journey. To see her figuring out her own life and finding what her passion is. Fit to be Tied is full of humor and romance and a great read! I received a copy of this book from Gilead Publishing for my honest review. Every one of us is guaranteed to experience the unexpected. But when the unpredictable shakes our faith, we hide behind our defenses, trade our hope for fear, and end up living a smaller version of the grand story God wrote for us. Is it possible to not only expect the unexpected, but even embrace it? 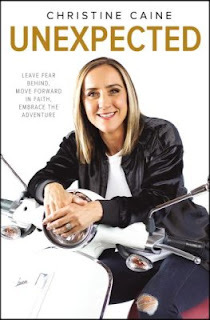 Christine Caine will raise your trust in God to new levels so that nothing will knock you off your feet. Through biblical insight and her signature inspirational storytelling, Christine will help you step into the adventurous life God has planned for you - unknowns and all. Using dramatic examples from her own journey, Christine offers real-life strategies to help you move from fear and worry to hope and trust in God. She will walk with you through dealing with the betrayal and the disappointment of ruined plans, give practical steps to uprooting the anxiety embedded in your response to the unknown, show you how to strengthen your faith resilience through God's Word, and inspire you to live in hopeful anticipation of God's goodness. - "We cannot shrink back in fear and go forward in faith at the same time. We cannot settle for our less and pursue his more at the same time. It's just not possible." - "If I focus on God more than the unexpected circumstances, then it is God who will be bigger in my heart and mind, and peace will be my outcome." - "I believe God wants to teach us practical ways to trust Him more in our everyday lives so that we won't live holding back. But, to be freed from this kind of fear, we will have to let Him lead us one growth step at a time." I am a teacher and last year God gave me a theme for the year and has given me a theme for the upcoming school year. It's a theme about growth and thriving where I'm at. I've been the type of person who doesn't like change. I like the predictable. But God has been showing me that change is the opportunity for growth. - "I believe with all my heart that it's possible for every Christian to learn how to live with a faith so confident in God, it's can't be shaken - even when the ground underneath is giving way. That's what Abraham did. God extended to him the same invitation he extends to us - to trust with all his heart - and Abraham said yes, even though he had no idea where his yes would lead." I think this might be my top favorite. We never know how God will use our obedience to take us on the greatest adventures but we have to say yes. I received a copy of this book from Icon Media Group for my honest review. Whether you are a mom of littles, a corporate executive, an involved volunteer, a student, or anything in between, you are busy. From the moment you wake up until you fall into bed, you are on the go-go-go: multitasking, taking care of others, driving car pool, running errands, filling out paperwork, managing your to-do list. On the run 24/7. Women in today's do-it-all world have more to juggle than at any other time in history. It is easy to become emotionally, physically, and spiritually exhausted. But it doesn't have to be that way. 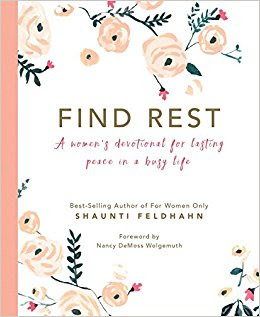 God created you to find rest, and this devotional will take you there. It is more than just a daily pause for prayer and encouragement - it is a day-by-day journey of simple, eye-opening moments that lead you from frazzled and frenzied to abundant peace and joy. Even in the midst of the whirlwind. This is a great devotional! I've read Shaunti's work before and was excited to review this new book! I love that each day's reading isn't lengthy but not lacking in content either. I like the place to reflect at the end of each reading and write down any thoughts. This devotional was so timely for me because I feel like I'm in such a busy season and need to just settle down. I love the format for each day's reading: a quote, verse, reading for the day and reflection. What I'm learning in my life and what the devotional is reminding me of is that I can't do everything. 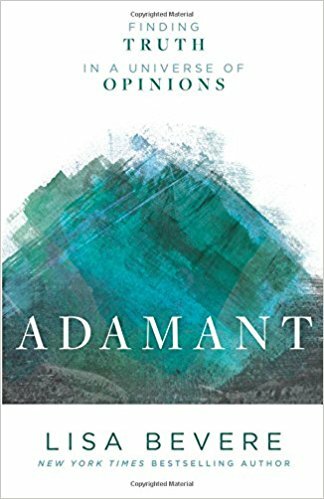 Two takeaways from the book: "We must not feel bad for devoting ourselves to the season God has called us into" and "...rather than picking good things to do and asking God to bless them, we need to look to see where God is working, and go join Him." 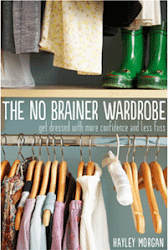 This is a book for women at any season in their life; everyone can walk away with something. I received a copy of this book for my honest review from Icon Media Group. What is truth? This has become the defining question of our time. But while everyone has an opinion, truth, it seems, is getting harder and harder to find. Perhaps that's because we are searching for something when we should be looking for someone. Truth has a name. More ancient than time and more present than this moment, truth is not a river that changes with the cultural currents, but a rock - immovable, invincible, unshakeable - and the cornerstone of all we are and ever dream to be. Theologically deep yet intimately accessible, Adamant will be an anchor for your soul in a raging sea of opinions, giving you a clear sense of direction in a wandering world. I'm such a fan of Lisa Bevere! I did the devotional for this book on the Bible app and really liked it and then being able to read and review the book was an added bonus! I feel like this topic is something women today are so hungry to hear. It's so easy to become wrapped up in seeking approval from others that we miss what God says about us. Lisa talks about how we're safe in Christ. "Our position in Christ is not based on our ability to hold on. The moment we hide ourselves in him, we are secured in his ability to hold us. In Christ, our Rock, our Adamant, our Cornerstone, we are safe." I love what she says about faith! "Faith is the hidden quickening of hope that leaps within us to help us believe there can be more." And she talks about Jesus as our Adamant. "On the cross, this Rock, Jesus, was opened once again, and this time blood and water flowed from his side...water to wash and blood to redeem." I read that and had to stop. I've heard that before but it got my attention this time. The importance of both the water and the blood. And she goes on. "The goodness of our Rock is impervious to our awfulness. As our Adamant encounters our flaws, they become as dust in the presence of his perfection. It is not that he is unaware of our violations. He sees the pain and shame that our willful choices bring upon ourselves and others. It is just that he cannot help but be what he is...good and merciful. He is the Lord and Savior of all, and any who throw their broken lives on his adamant mercy are transformed." This was such a great book! Shay Henke has mixed feelings about going to her family's next reunion. On the one hand, she'll get to see everyone in her mama's family - folks she loves unconditionally. On the other hand, she knows there'll be more drama than you can shake a stick at. The days leading up to the event bring one surprise after another. First Shay must deal with her sister-in-law's deep, dark secret. Then she has to contend with the childish ways of her business-mogul twin cousins. And when her high school crush wants to be her date to the reunion...well, it may have been a dream come true for Shay's teen self, but the woman she's become doesn't know what to make of this. Shay's contentment is challenged, and she's determined to shake things up a bit. But will she find the excitement she's looking for, or will Shay realize she prefers her quiet and predictable life? One thing is certain: Life in the Bucklin family is never boring. I loved this book! As a Southern girl myself, this book was right up my alley! I had to get used to the point of view switching with each chapter as I had to remember who was who but then it made the story more interesting as the story switched from character to character. I thought the characters sweet and charming and and found myself laughing at Shay's family's antics. This is a story for anyone who has those family members you just have to love. I liked reading about Shay's journey in finding a job she enjoyed (and couldn't help but think of the timing from one job to the next as God's perfect timing) and that she was brave enough to take that leap! Though fiction, this book encouraged me in my own life. To pursue that thing that I may be scared to do and live boldly! I received a copy of this book from Litfuse Publicity for my honest review. You can purchase the book on Amazon by clicking here. It's easy to feel overwhelmed and ill-equipped to deal with your personal finances. You wonder if you will ever experience financial freedom. you want to spend money on what matters, but you don't know how. With twenty years of professional experience, financial advisor Emily G. Stroud knows that money can be one of the great causes of stress in life - but it doesn't have to be that way. Finances, in fact, can be a great source of joy, security, and hope. 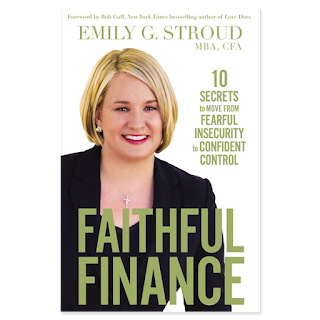 Faithful Finance includes Emily's ten secrets to managing money with confidence. Presented in a conversational style, this practical guide offers ten simple but life-changing principles that work for every financial situation, every income level, and every stage of life. I wanted to read this book to get a basic foundation for beginning to invest and this is a great start! I like how detailed Emily is but also how she breaks things down for those who aren't familiar with the terminology (like me!). Investing is something that had seemed overwhelming and elusive but now is easier to understand and I have an idea of where to start! After reading this book, I now have some direction in how to begin investing and continuing to save. As someone in my early thirties, I'm thinking about purchasing a home in the near future and it's so helpful to read about the different kind of loans and which I need to pursue. I feel like the book can be summed up with these words: "Goals are extremely important because they give you direction. If you do not have a plan, you will inevitably lose focus. As a result, you won't make wise decisions with your finances." This is a great book for those wanting to know more about being wise with their finances! I received a copy of this book from Handlebar Publishing for my honest review.